While the healthcare industry has employment and career characteristics that are unique, it also shares many of the same issues faced by mid-career professionals in other industries. What is a typical career path? How to get new challenges and experiences? How to grow? How to advance? How to make more money? Here are a few ways to address such questions and continue a fulfilling career in healthcare. Healthcare careers start with education. From front-line CNAs to neurosurgeons to hospital administrators, proper education, credentials, and licenses are mandatory. So any professional looking to move to a new specialty or assume additional responsibilities will likely have to consider obtaining new credentials and licenses. Certified Nursing Assistants (CNAs) and Licensed Practical Nurses (LPNs) looking for advancement through education frequently obtain a bachelor’s degree in nursing (BSN). Registered Nurses (RNs) looking for advancement through education can seek certification as an Advanced Practice RN, Nurse Practitioner, or obtain specializations based on treatment (e.g., critical care), disease or condition (e.g. oncology), organ or system (e.g. cardiac), or population (e.g., geriatric). Networking and making contacts with professionals in specialized fields can help a healthcare worker decide if additional education is best for his or her career goals. Another way to gain new experiences and prevent boredom is to consider moving to a different specialty or service line. Kuder, the career research and guidance firm, breaks down healthcare careers into five different categories¹. Each category has a variety of occupations, with therapeutic services being the largest. Patient care can entail working bedside with patients, but can also include preparing for surgical procedures, pharmacy, fitness, and nutrition. Career advancement can include moving into growing fields of imaging, data management, or biotech research. Movement to another category may require additional certificates or licenses, but not necessarily. An RN often has adequate licensure to perform and succeed in other categories. Patient care typically requires staffing 24 hours per day, 365 days per year. Healthcare professionals willing to work different shifts – overnight, weekends, holidays – can experience not only higher pay for those types of shifts, but can also see expanded job functions or responsibilities. Similar to working in a rural location, working shifts where the supply of labor is greatly reduced can result in higher wages, bonuses, and access to duties and responsibilities that may not be available during traditional shifts. Many front-line professionals transition into supervisory, planning, and administrative roles. Hospital administrators typically have a degree in health services management, health policy, or business. Most supervisory roles in patient care require at least a BSN. Management is not for everyone; some professionals prefer to remain as individual contributors. But for those with an interest to hire, develop, schedule, and discipline staff, management can be rewarding both personally and financially. In conclusion, one of the best ways to learn about career options and pathways is to talk to professionals doing those jobs in the field. Conferences, seminars, hiring fairs, and networking events bring together professionals from a variety of levels and specialties. Having coffee and asking a colleague about his or her field of specialization can enlighten and energize a move into a rewarding healthcare career. Taking the time to network and learn about the career paths of others can lead to great insight and a new career path of your own. ¹ “Career Pathways”. 2017. Cicapp.Kuder.Com. 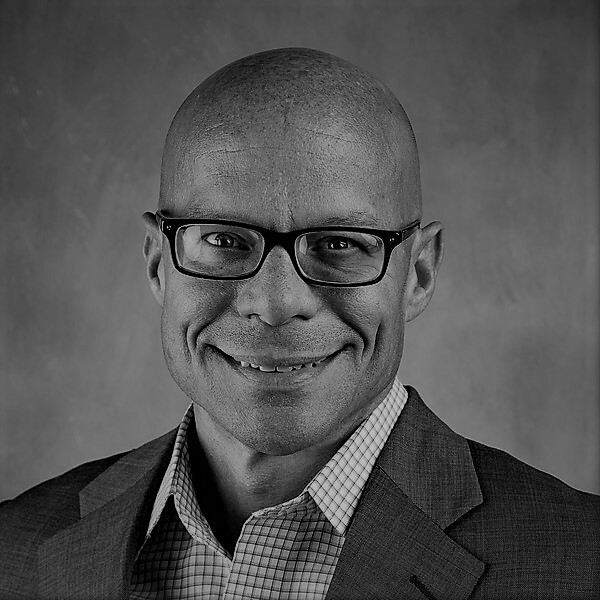 Daniel Tetrick has 20+ years in account management, project management, consulting, and outsourced service delivery to enterprise clients in the financial services industry. While at Boston Financial Data Services and DST Systems, he advised some of the world’s leading financial institutions how to implement and use technology to lower costs, streamline operations, and better serve customers. Daniel has also trained and performed in improv comedy and believes this kind of live theatre is a great training resource for the business world: listening, thinking quickly on your feet, and teamwork are all essential to improv. Daniel has a BA in economics from the University of Iowa and an MBA with an emphasis in finance from the University of Missouri-Kansas City.